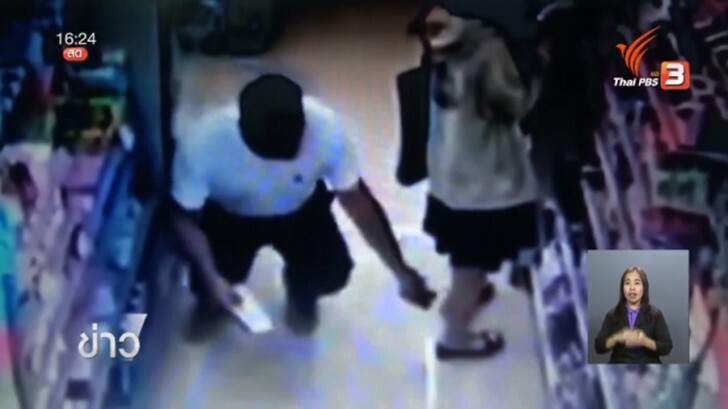 A police officer who was seen in a widely-distributed video footage using a smartphone to take photos under the skirt of a woman at a convenience store in Lampang has been penalized by his superior. The unidentified police officer who is attached to the training centre of the 5th region provincial police bureau based in Lampang has reported himself to his superior, Pol Col Phisit Homsilp, chief of the training centre, on Wednesday. The officer reportedly claimed that he acted out of fun and had no intention whatsoever to defame or shame the woman. Police said they have to wait for the woman in the incident to show up to file a formal complaint against the officer before any legal action would be taken against him. But for the time being, disciplinary action has already been taken against him.